Winter is a great time for reflecting, learning from the past, and planning for spring. The Home Gardens team is busy doing all of these things! We are so grateful to all of those who made our program possible in 2016: gardeners, volunteers, partners, donors, businesses, foundations, and staff. Together we are building healthier, more connected communities! As we move into 2017 we are grateful for all the inspirational stories and thoughtful feedback that our gardeners shared with us through our end of year surveys. Here some of the results. Spring Dig-In Captain: get your friends and coworkers involved in the grooviest garden-building, fundraising competition of the season. Prizes, celebration, good-times for all. 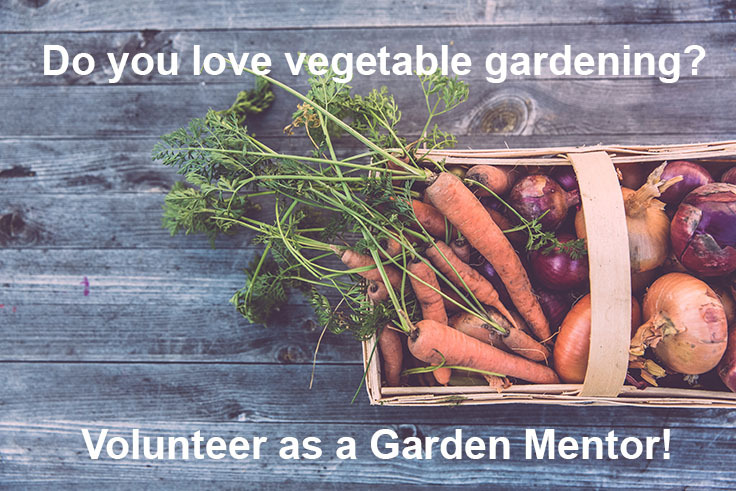 For more information and to sign up contact Emily: emily@growing-gardens.org. Space is limited – (deadline: February 15 or when filled). And if you can’t wait til spring, come join us indoors while we sort and package seed donations this January!! Did you know that botany can be delicious? At two different partner schools the kids loved eating a “plant part stir fry,” a stir fry that included all six parts of a plant. 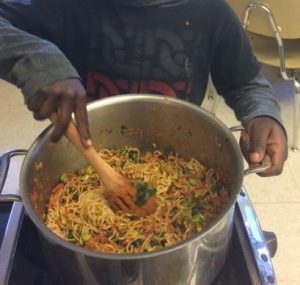 100% of the kids loved eating their vegetables when tossed together with Umi Organic Noodles. Thank you Umi Organic for donating your delicious noodles! Youth Grow hosts a FoodCorps service member to help teach kids about growing, harvesting and preparing healthy food. The application for our FoodCorps service member is now open. We would like to find some one who loves working with kids, loves gardening, and is bilingual in Spanish. Apply today. 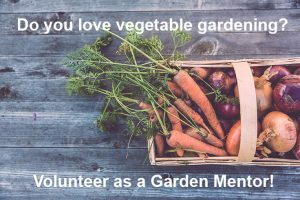 We have one volunteer position open for winter garden club assistant on Wednesdays at Glenfair Elementary. Learn more and apply here. The team here at Lettuce Grow recently sent out a thank-you to our invaluable volunteers and supporters. A few of our volunteers emailed us back to let us know that the experience has been invaluable for them as well. “…. I think we get more out of our volunteering then we give. I know I do” – Sherry H.
We feel very fortunate to have such a dedicated team and are empowered to hear that our volunteers are empowered by their experiences as well. 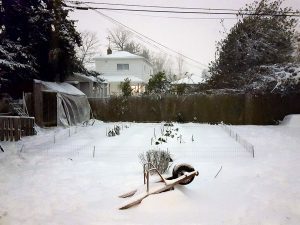 Lettuce Grow currently teaches 3 rotating gardening classes (Seed to Supper, Sustainable Gardening and Greenhouse Management) in 13 adult correctional facilities throughout Oregon as well as 2 juvenile centers. Over the past 7 years hundreds of inmates have earned a certificate of completion which not only provide additional employment opportunities post-release but also creates real-life applications for positive problem solving. 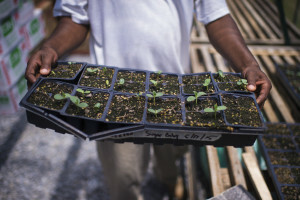 If you’d like to learn more about Lettuce Grow or join our volunteer crew please contact rebekah@growing-gardens.org.